Meanwhile, not liking the new leader, Tousen Kaname has left Hueco Mundo. Will he try to rejoin the Soul Society, or take his own path? Tousen ends up in Rukongai, where Soifon finds him. The two meet again, face to face, after more than a year. Soifon demands that Tousen leave, and when he doesn't, decides to take this opportunity to question him about the Arrancar. After a minute, Tousen finally tells her about Seiyusosha Saiyagawa and her plans to avenge Aizen. Also, he says, Kensei Kontan, a Vizard, plans to help her, and turn the rest of the Vizard against the Shinigami! Will Kensei succeed or will the Vizard go their separate ways? The future of the Soul Society may depend upon their decision. Tousen's not the only one who dislikes the new leader. Grimmjow Jeagerjaques has left the Espada, refusing to be under Saiyagawa's command. 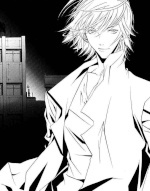 Along with Ayame Hikari, Kyouga, Micha Rios, Raiga-Gin, Sia Kaiomi, Tomix, and Kyo Hyio, he created his own group, Korosu. They plan to destroy the Shinigami, and take over Hueco Mundo. Guests can come here to post questions and find out information about the site before they join. Come here to view the updates and annoucements for Bleach Unified. Come here to read the rules of Bleach Unified. Make sure you follow them at all times. Come here to find out what you need to know about the forum such as ranks, characters, etc. Come here to introduce yourself and get to know other members better. Post here if you're going to be absent from the forum for more than a week so your characters don't get deleted. Post here if you're going to quit the site so we know to delete your accounts. Here you will find the templates for characters and kido. Please remember to use them! Come here to request a canon character so no one takes it before you make the app. Characters will be held for one month. Come here to create your character. Be sure to use the template and wait until your character's approved before RPing. Come here to create custom Kido. Be sure to use the template and wait for it to be approved before using it in RP. The Urahara Shop is owned by Kisuke Urahara and sells various items from Soul Society. It usually serves as a base for the protagonists of Bleach. Ichigo and his allies usually come here to train or discuss plans on how to defeat an enemy. The Gotei 13 is the organization which most Shinigami join, and one of the three main branches of military in Soul Society. It is split into thirteen divisions (hence the name), with several divisions having certain specializations. The Gotei 13 is subservient to the edicts of the Central 46 Chambers. They also have no jurisdiction over any of the noble families. The area where the shinigami train to get stronger. The Forest of Menos, introduced during an anime-only filler, is an area below the surface of Hueco Mundo's desert where the average Hollow hide from the Arrancar. 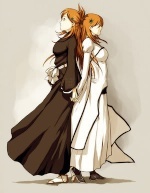 Gillian- and Adjuchas-class Menos dwell here, along with possibly Vasto Lorde-class Menos. The forest is filled with large trees made of a silvery quartz substance. These trees extend to the surface and dot the landscape of the desert in Hueco Mundo. This is the base of Grimmjow's new group, Korosu ("to kill"). It is an open area in the Forest of Menos, and the main area is a cave that has been transformed to be a living room like area. Trees surround the area like most of the Forest of Menos, but are packed together even more here, making it invisible to most people that don't know it's there. Forum events will take place here. Just beginning to RP? Don't feel like typing a lot? RP at the Role-playing Academy any way you want. Come here to battle if you don't want the fight to affect your character in the RPG. Come here to RP a different storyline, canon relationships, your character's history, or anything else that you don't want to have affect your character in the RPG. Come here to find someone to RP with. Share videos, pictures, and writing here. Here you can have fanclubs for characters or pairings. Spam all you want here!! Advertise your site here, but if you post an advertisement, this site must be on yours, or your advertisement will be deleted. Guest friendly.